CINCINNATI -- De’Zhai Bennett had been smoking for years when she found out she was pregnant. Learning about her baby was the motivation she needed to quit. She began cutting back on the number of cigarettes she smoked each day until she stopped completely. Bennett’s resolve paid off. Her baby girl, De’Zhari, was born on Jan. 17 -- just two days before her due date -- a healthy 6 pounds and 14 ounces. Across Hamilton County, more and more women are kicking the habit early in their pregnancies, and the county’s infant mortality rate is improving as a result. In fact, the maternal smoking rate has dropped 30 percent over the past five years, according to data to be released this afternoon by Cradle Cincinnati , the nonprofit organization working to reduce the number of babies in Hamilton County that die before their first birthdays. While 15 percent of Hamilton County women reported smoking during the second and third trimesters of their pregnancies in 2008, that rate has fallen steadily. It was 8.7 percent of women in 2017, according to Cradle Cincinnati’s newest annual report. But there still is a long way to go: 97 Hamilton County babies died last year before their first birthdays, according to the report. And while the county’s infant mortality rate has improved, it remains far above the national average. “We have to hold two truths in our hands at the same time on this," said Ryan Adcock, Cradle Cincinnati’s executive director. "One of those truths is that we are seeing great collective effort around this, and that is showing us there is real reason for hope. Infant mortality is reported as the number of infant deaths per 1,000 live births. Cradle Cincinnati keeps track of the rate over five-year periods to measure trends in how Hamilton County is doing. The county had 487 infant deaths between 2013 and 2017, resulting in an infant mortality rate of 9 deaths per 1,000 live births. That’s a significant improvement over the county’s 575 infant deaths between 2008 and 2012, which resulted in an infant mortality rate of 10.2 deaths per 1,000 live births. But it’s still far higher than the national infant mortality rate of 5.9 deaths per 1,000 live births. When Hamilton County and UC Health signed the agreement to form Cradle Cincinnati in 2011, Hamilton County had the second-worst infant mortality rate in the nation, Adcock said. He estimates that the county now ranks about 23rd worst in the U.S.
“So this is awful, and not nearly good enough, but far better than second,” he said. The three leading causes of infant deaths in Hamilton County over the past five years were preterm birth, birth defects and sleep-related deaths. Successful efforts to reduce preterm births and sleep-related deaths are helping to improve the county’s infant mortality rate. The neighborhood of Avondale, for example, has effectively eliminated “extreme” preterm births and has seen the number of infant deaths there drop significantly as a result. Between 2008 and 2012, 19.5 babies died for every 1,000 born alive in Avondale, an infant mortality rate more three times the national average. The biggest factor in the deaths was extreme preterm birth, or babies born before the end of the second trimester. 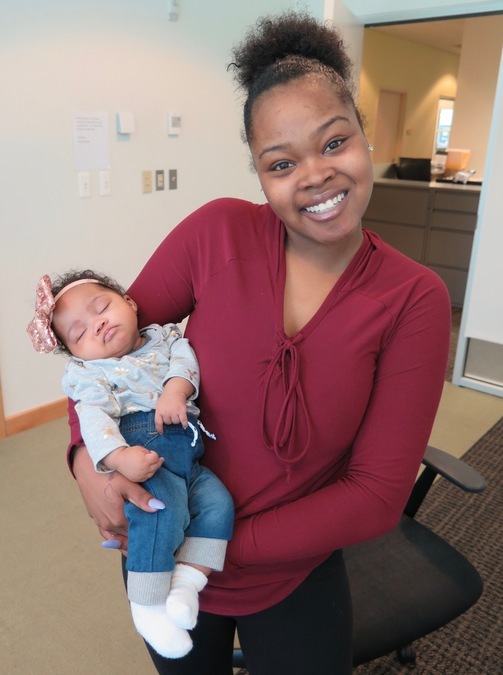 An intense community effort called “Start Strong” focused on reducing extreme preterm births, and the neighborhood has not had a single baby born before the end of the second trimester in more than three years. Because of that success, the state of Ohio will fund the spread of Start Strong’s work into two new communities: Winton Hills and North College Hill. That’s not the only hopeful news. Sleep-related infant deaths also have decreased. One of Cradle Cincinnati’s most important public awareness campaigns has been to educate families that babies sleep safest alone, on their backs and in an empty crib. The leading cause of sleep-related deaths in the county is suffocation because babies are sharing a bed with an adult and the adult rolls over onto the baby. The latest numbers showed an average of 12 babies died each year from sleep-related deaths over the past five years. That’s down from an average of 16 sleep-related deaths annually between 2008 and 2012. Another bright spot: Last year saw a 21 percent improvement in the percent of women who got prenatal care in a timely fashion, with more women than ever before getting prenatal care during their first trimester. Adcock noted that is happening at a time when the opioid crisis could be making women reluctant to see doctors early in their pregnancies. But the reduction among the number of pregnant women who smoke is one of the most hopeful findings in Cradle Cincinnati’s report. Kelly said she thinks those improvements have come as the result of the collective effort that health care providers, community health workers and so many others have put into the work. 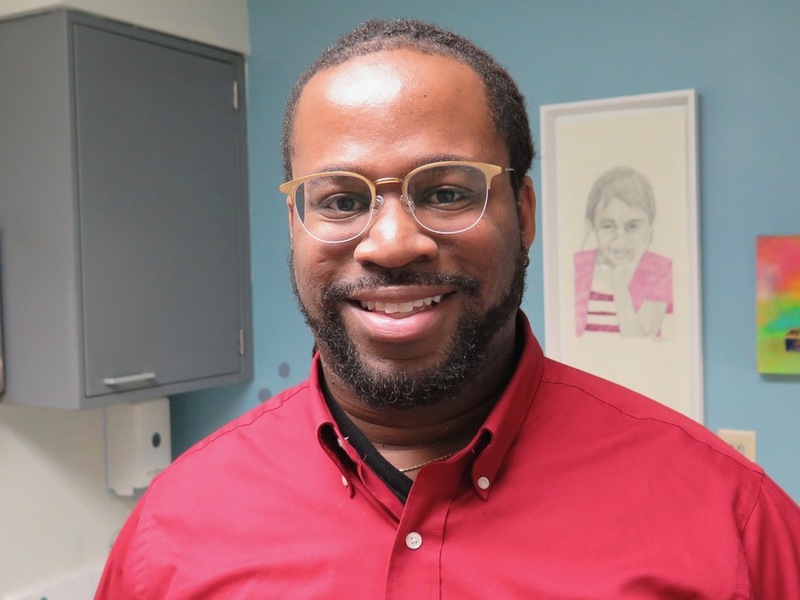 The American Lung Association’s Freedom from Smoking program caters to smokers of all kinds, including pregnant women, said Julian Collins, a program manager with the American Lung Association in Ohio. And just like the programs that Kelly recommends to her patients, the Freedom from Smoking program encourages participants and offers support instead of shaming them, Collins said. “It’s creating new techniques for them to handle stress,” he said. While it’s better for women to stop smoking before they become pregnant, their babies can benefit as soon as they quit, said Dr. Marianne DiNapoli, an OB-GYN who works at the Cincinnati Health Department and UC Health. De'Zhai Bennett and her baby, De'Zhari. “As soon as you stop having that last cigarette, the blood vessels dilate,” she said. That increases the blood flow to the baby as it grows inside the mother’s womb. Because babies grow the most during the third trimester of pregnancy, DiNapoli said she encourages her patients to stop smoking before then to reduce the chances for a preterm birth or low-birth-weight baby. But the sooner they stop, she said, the better. Bennett said she is happy she stopped smoking when she did. And she was glad to get resources from the Cincinnati Health Department’s Elm Street Health Center. The health center gave her a toll-free number she could call to talk about her desire to smoke, along with written materials. “They were trying to help me out, and they were trying to help my baby,” she said. Her doctor and nurses also celebrated every time Bennett was able to cut down on her smoking, she said, encouraging her to keep going. But mostly, Bennett said, wanting the best for her baby was her biggest incentive. More information about Cradle Cincinnati is available online . The organization’s full 2017 annual report will be available on its website , too.